Is home birth safe? The topic always makes for a passionate debate, even though it has become more than just a popular concept in modern times. And as the debate continues, the views tend to only get more extreme, which eventually breaks away from what is ultimately more important – the safety of a new-born baby. So, maybe it’s time to find a middle-ground and look at the matter from an objective point of view. Instead of approaching home births and their safety as a black & white situation, the home birth by a qualified and experienced midwife needs to be respected as the alternative for hospital births. As it turns out, home births are virtually as safe for both mother and baby. The idea that a hospital is always a safe and sterile environment is practically a given. People never really question or doubt the standards to which all hospitals should function. And, naturally, it’s obvious why so many parents want to give birth there. Modern technology paired with experienced medical personnel that stand by 24 hours a day, a hospital can be a very safe place to bring a baby into this world. Yes, giving birth at home is by no means new, and for so long women only had the basics to cope with during birth, but nobody can deny the facts that a high infant death rate initially created a demand for hospital births. Ultimately, hospitals provided a new safety standard that would eventually discredit home births. Or at least, this is what we were told. A recent study on the safety of giving birth at home has brought great clarity on the subject, especially in regards to the safety issues. After investigating almost 17,000 cases based on midwife-led care (the largest study of its nature in the US to date), it was established that home birth safety shouldn’t be a concern for low-risk mothers. The study was published in peer-reviewed Journal of Midwifery & Women’s Health, and also concluded that 97% of home births were carried to full term with an average newborn weight of 8 pounds. 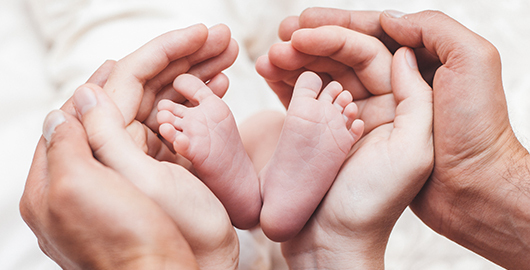 While the skeptics might still try to look past the evident evidence, it’s important to keep a few things in mind when thinking about home births. For example, this is 2017 and homes are much cleaner than they were a hundred years ago. Mothers and midwives are much more informed and educated on the subject. More specifically, parents are better prepared for home births in the modern age. It’s time to step on a few toes and get some objectivity out there. In other words, which one is safer? While hospitals have great reputations, nobody can account for human error. Because let’s face it, hospital personnel are human, and they make human errors. Anything can happen when people are involved. With home births, there’s the risk of running into complications without medical staff nearby to handle it. No two births are the same, and until the baby is outside and safe, the possibility of complications arising still exists. This leaves the debate with only one logical outcome. Parents should be informed about both options, along with all the pros and cons, and they should decide on a case by case basis. The truth is that both options are safe and both have their share of non-safety related challenges. With a healthy mother and proper pre-birth preparation, home birthing can be virtually as safe as hospital births. It’s just a matter of choosing the right option for you.